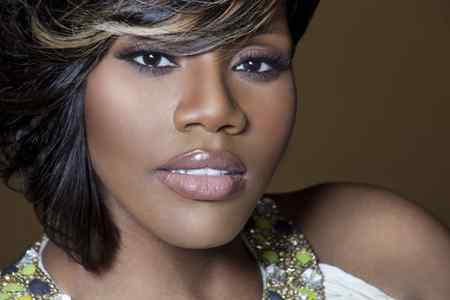 The entire staff & readers welcome one of the most soulful new generational R&B vocalists on the planet – Ms. Kelly Price! With a major nomination at the 53rd Annual Grammy Awards for Best Female R&B Vocal Performance for “Tired”, Kelly plans to not just stop there. In our conversation, feat. our very own Terrill Hanna, Kelly speaks about her upcoming new project, big plans for 2011, the future of music and much more! Pull up a chair and check this out! You are on TheUrbanMusicScene.com! TERRILL: Theurbanmusicscene.com has someone sitting right next to us on the couch ladies and gentleman, and believe it or not, we have one of the biggest R&B starlets right here on the phone with us. I have with us, Mrs. Kelly Price – she is in the house! What’s up Kelly? KELLY: Good afternoon, morning, evening…do we even know what time it is right now. How you doing? TERRILL: Not much girl, how are you doing? KELLY: I am excited, and glad, and overwhelmed, and I’m talking to you about it right now! KELLY: Amazing. Amazing, amazing, amazing! It literally feels like the first time. This is so crazy! It’s not the first Grammy nomination, but it feels like the first time. TERRILL: Well I tell you what Kelly, I mean for all the music you’ve blessed us with over the years, your career, your discography, I mean it’s to me more like an icing on a cake, what do you think? KELLY: I guess, you know when you look at it, it is, but I’m not mad that this feels like a first time feeling. Because I think a lot of times when you’ve been somewhere over and over again or if you’ve done something repeatedly that sometimes it can get old. I’m really appreciative for the freshness and the newness that I’m feeling with everything right now. I think that in of itself is incredible. TERRILL: …it’s almost like a refresher if you will. TERRILL: You know coming from your last previous albums and this maybe five years later, maybe four to five years later and I mean you do tend to get missed Kelly. You have a very beautiful voice baby. KELLY: Thank you. Thank you. You know what the industry goes round and round in circles and um, we ride this train of madness literally and there were times when we’d take breaks because we’d have to do life. And then there are times when we have to kind of sit back because the industry shifts it’s focus and it seems almost kind of like at the time when I was shifting my own focus to do other things that were more family involved, as well as extending in other areas. I wrote a book and I self published and released it and I started doing a lot of self motivational speaking, but also during the time where I really kind of needed to focus more on raising my children, they were in those mid-teen years where they kind of needed mommy. You know they go through that time where they’re like oh no we don’t need a babysitter, we don’t, this, that and the other, and when your kids start telling you that, that’s when you really need to watch them. That’s what I think. TERRILL: Oh no, I totally agree. The family values have to come first somehow, some way. KELLY: …to children’s groups and women’s groups and even church groups because of the gospel album. So talking about my experiences being raised a preachers kid, but having a career in R&B music, that was always a topic of very, of great interest to a lot of people and how I kind of, you know juggled that and how that worked out for me in terms of my career being non-traditional, you know when we talk about being a preachers kid. But it’s been an interesting ride. The business goes around, music changed. KELLY: It changed. And for me looking at it, I think someone asked me the question recently, what is the difference between what has been labeled R&B in recent years and what you know as R&B. And I think that where the shift came in is that R&B music became something that didn’t make you feel. KELLY: And that it just became something that made you move. And to me there’s a difference between something that makes you move and something that makes you feel. TERRILL: Well you know there’s comments, and I totally agree. First and foremost I totally agree with your assessment. There’s also comments we’ve received from our readers and even from many of the artists in the game that I met with and we have interviewed over the years and that is, you know the content has changed. You know it became more gimmicky in a sense. TERRILL: One thing I will have to state Kelly is from day one, and I will say this for the record, I would hopefully, I would know that all the listeners and readers on the Urban Music Scene would agree, but since day one Kelly, ever since you dropped your first album, all of your music has been about business. TERRILL: You know and the quality of your content. Going into the song Tired, I mean that’s quality content and again, congratulations for receiving a nomination for a Grammy for the best female R&B vocal performance, but I mean it’s more than a performance. You’re sending a message, are you not? KELLY: Yes, I really am. I think that from the very beginning and I appreciate you making that statement. It never has been about preaching to people. I’ve always written and then in turn sung about what mattered. KELLY: First of all what mattered to me, what mattered to the people around me who were closest to me and the reality of it is, is that if we look in our own life circumstances, look at the people who are around us, look at our family members, we’re all going through the same thing. So to sing about what I’m living and to sing about what my sisters and cousins, and aunts, and uncles, and family members and closest friends and neighbors are living, I am singing the condition of the world. And so without having to create something without having to come up with a gimmick, without having to do something that is contrive just by sticking to what know, which is what’s in front of me, which is what I live everyday. I have an opportunity to touch the world with the messages that are in my music and that’s what I’ve always strived to do. And in a lot of cases it required me becoming very transparent. KELLY: Releasing things about myself that I otherwise may not talk about, but through the music there was freedom in letting it go, and I think down through the years I found more liberty with each release to do that. When people hear Kelly, they will hear transparency at its greatest from me. TERRILL: And you know what, I am living proof because I have received nothing but more than a blessing the evening at the 20th Annual Divas Simply Singing with my wife,… and my girl and I sat there and looked at you on stage and I’m telling you – you blew open every single door, windows, other curtains moved, everything! Your performance is just…whew. You are really blessed and Kelly I really believe God’s got his hand on you and you’re really going to go much further than ever. The new album that’s going to come out, do you have a slated dated for that? KELLY: We’re looking in March. KELLY: We are looking at March 2011 and now if you ask me personally what I think, I don’t think we’ll end up pushing the album back any further. The album is coming in March, but I think that what may happen, and I don’t know I might get in trouble for saying this, is that we may end up having to stick through Tired a little longer. We’ve already been in the process of preparing the next single which we’re going to continue to do that. KELLY: So I’m really excited about that. KELLY: With the Grammy nomination, I’m thinking that what may happen is, is that the release of the second single may end up coming a little bit closer to the release of the album at this point. KELLY: Cause you know what? Its that I need to keep going out there and singing ‘Tired’ before I start telling people you’re ‘Not My Daddy’. TERRILL: ‘Not My Daddy’ is the name of the new single ladies and gentleman, remember that. Write it down. TERRILL: Write it down, Not My Daddy, we can’t promise you the date yet, but Kelly’s lettin’ you know it’s coming. KELLY: People listen. Couples need to listen to this song. This is directly related, this is sent directly to couples. The song is ‘Not My Daddy’ and lyrically it deals with finding their self in that moment when you find yourself dealing with each other more like ma and pa than my boo and my baby. TERRILL: Right on. Right on. And I can’t wait to hear it. I can’t wait to hear it and you know another interesting question, how would you classify or put in perspective what the whole entire album is about in terms of the message, the music, I mean is it a mix of gospel and R&B? What would be the storyline of the new album? KELLY: It’s raw Kelly. From ‘Tired’ to ‘Not My Daddy’, I have a song on the album called I’m Sorry, which is so powerful. It literally, it’s, the subtitle if I had one would be called My Apology and it’s not an apology to anybody else and it’s an apology to one self. KELLY: Think about everything it is that you’ve done that you regret, but not to beat yourself up about it. It’s almost like Tired, it’s a laundry list of things that you are sorry for, but you’re apologizing to yourself and then accepting the apology and then forgiving yourself and saying okay, I did that, been there, it’s done, now I got to move forward. Because I think from little kids we’re taught that if we do something to someone, say I’m sorry. KELLY: You know, but we’re very often not taught to do that for ourselves. So with this particular song it was as simple as saying okay if I can tell somebody else I’m sorry and mean it, and that I’ve been taught whether it was by a life coach or by the pastor in the pulpit that forgiveness is more for me than it is to the other person and I had to learn to do that for me, too or I can’t move forward. KELLY: So that’s what I’m Sorry is about. So again it’s message laden and it’s not that it’s gospel or any of that, it is the truth. KELLY: And it doesn’t matter even if you believe what I believe, that’s a human factor. TERRILL: That’s something we all can relate to. TERRILL: In a nutshell and it is, you know it comes with a very good melody. KELLY: Yes, yes, yes, yes, yes, yes. TERRILL: Aside from Mint Condition, which is already jamming up a little bit, I mean wow, who else in terms of the producers or song writers who you’re collaborating with on the album? KELLY: Yes, I have – I’ve written this entire album. I did collaborate with Warren Campbell, his sister Joy Campbell, Jazz Nixon, and Shep Crawford who is the producer of ‘Tired’, he produced I’m Sorry. Warren Campbell is the producer of The Rain, which is another powerful song actually that I wrote for the movie Precious that they took a little bit took long to make a decision on and Warren said you know what, they don’t need it. We’ll keep it for you. TERRILL: Oh you need to stop. TERRILL: No, you got to stop girl. KELLY: I had to go back to the East Coast block party on that one. I literally can see my daddy’s family sitting down on the steps with forties and the grill going. TERRILL: You might as well stop cause that’s how we got down back home in Charleston!! KELLY: …Ate the neighbors potato salad. KELLY: Hey that’s what I’m sayin’. Literally, And ‘You Don’t Stop’ takes you there. KELLY: I am in on my family on Thanksgiving Day. I just said okay well I’m going to run this by ya’ll: the entire album. So I played the album on Thanksgiving Day after we all ate with some of my cousins and literally I watched as the Soul Train line formed in my den. KELLY: It’s when you hear that record! So I’m excited! TERRILL: That’s right. That’s what I’m, I’m excited, too! I mean because when you’re talking about taking it back there, I mean you know what, that’s just all, that’s all season baby. That’s all season. You’ve got good sounds,… it sounds like you got everything coming together. We can’t wait to hear it. We can’t wait to see it and we wish it was a whole lot sooner, but we, that’s the blessing of the interview and it’s for us to wait, we have to wait. The best things in the world you got to wait for. KELLY: Yes. Yes. It’ll be here before you know it. KELLY: It’ll be here before you know it. We just have to make sure, you know we are going to do a couple of listening events on East Coast so we have to make sure you know about it and hopefully you’ll be able to make one. TERRILL: Okay. And we’re going to plan tours, you’re going to travel and come up with this album, right? KELLY: Yes, yes. And we’re taking it back to the way it’s done. Listen, what I do appreciate about the fact that you have records coming out now from artists like Safe Heaves and El Debarge and that kind of thing, the opportunity for going and touring now has returned. To be able to go out with other artists that sing and bring musicians out with them in every song from the first song to the last song is one that makes you want to throw your hand up, is a good thing. Cause I’m as much a fan as I am a musician and I want to listen to the concert, as well as sing in it. TERRILL: You know it’s so funny because I was just sharing that with your publicist. I mean your timing is perfect. Where we have, like you said, I am in total agreement, there’s a lot of R&B new music, especially for the month of December. Unfortunately Michael Jackson’s not with us, but he had that big release. TERRILL: Okay. You know Ronald Isley has a new one out. TERRILL: He’s got a new one out. I mean think about this, remember a guy named Lilo Thomas? TERRILL: Lilo Thomas has a new album out, he just came out. It’s perfect, it’s perfect. Because like you said, these guys and the ladies and the gentlemen, they have to get out there and they got to, we got to travel together and keep that music spinning. And hopefully entice more artists who are sitting down, get them thinking about coming back out. Get them motivated to get back out there and re-vibe the energy of R&B the way it should be. KELLY: Absolutely. And that’s what excites me the most. TERRILL: Right on. Well I, you know what, again congratulations on more than just one platform. Congratulations on the new single. TERRILL: Congratulations on the new album. TERRILL: And congratulations on the Grammy nomination. KELLY: Thank you so much. And it was a pleasure meeting you and your wife. I am so glad we ran into each other. KELLY: It’s all straightened out so we can speak to each other, and I look forward to meeting you at one of our listening events again so that you can hear everything that I described to you today. TERRILL: She wants to be in the house. So we need to do another interview. TERRILL: Okay. So lets go ahead and get this one wrapped up and lets plan part two right around the time your album is launched. TERRILL: Okay. Lets get that together. Thank you so much for your time today. May God bless you and is there anything you’d like to share with our readers today? KELLY: Um, thank you so much for all of your support. Thank you for being excited. KELLY: For this project, I am too excited and just tell them to follow me at, on my social networking pages. It’s me, I get up there and ramble and talk, and holler back and follow back and do all of that, that’s really me. So follow me on Twitter, I’m Kelly Price For Real, come check me out on Facebook , my fan page . I update it myself and communicate with the fans. That’s just me, I talk too much, it gives me a way to chat with them and connect with them. TERRILL: Naw, you don’t talk too much, you’re just keepin’ it real. That’s how it should be done. So well I thank you so much for your time. You have a wonderful day and I’ll talk to you soon. TERRILL: Thank you Kelly. See you in a little bit. More Interviews....on The Urban Music Scene! Charlie Wilson 2017 – As He Wins…We Win! Articles direct from T.U.M.S. - Copyright (C) The Jordan Music Group, 2007-2017 | All Rights Reserved.